Was able to sleep on the way, when I woke up we were already in Azalea, Baguio! Sorry no food shots because I was super hungry and I devoured what's in front of me as soon as it touched the table. Sareeeh. Haha! Posting food shots later on. ;) Food was delicious. After lunch, time for our room assignments! That open door on the right is our room! This is supposed to be the sala or living room but the sofa bed was set-up na when we got there. This is the smallest room! It's cozy if you're not that sensitive to noise because you would hear footsteps and other people's voices since it's facing the hallway. There's a dresser and closet inside! No toilet. Closet with robes and other things you need for your stay like slippers, laundry bag, sewing kit, iron, etc. The main bedroom has its own toilet! Inside the toilet are toiletries like shampoo, conditioner, toothbrush, toothpaste, towels, shower cap, shaver, lotion, etc. Our suite's published rate is P13,200 during regular season or P14,700 during peak season. They have ongoing after summer promotions! I checked the price of our suite and it's down to P9,450 a night!!! They are also giving away free room upgrades. Goooo! After freshening up, we headed downstairs to meet the others for our scheduled coffee & meryenda at Yagam Cafe! We tried to take OOTD photos before leaving, success naman. Haha. There are a lot of nice corners in Azalea which bloggers would be happy to take photos of. After a short ride, we're finally at Cafe Yagam! Do you know that Cafe Yagam always serve freshly grounded coffee made from Cordillera beans? Awesome. It's super artsy and homey inside. A great place to spend your afternoon over good food, drinks & conversation. There are also tons of books which you could borrow and read. They prepared snacks for us! Drools. Kiniwar or rice cake is the local name for biko priced at P40. Inanchila (the one that looks like suman) is Kalinga sticky rice cake with 'ladek' which you could buy for P60. I also ate 2 slices of the snadwich they served! So good! It's layered with chicken, pesto, egg, tomato, etc. An explosion of flavors which is perfect if you're dead hungry. Lol. Meryenda in style. Haha! Flatlay by my loves Mike Will Fly & Michael Macalos! Galeng! 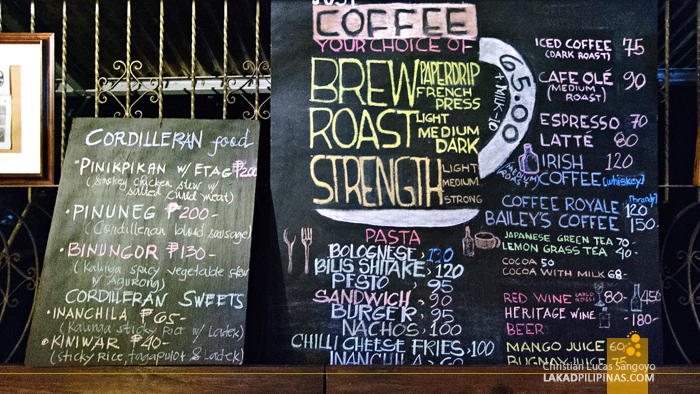 If you're a coffee person, you could go crazy and choose the type of brew, roast and strength you want. Such a nice corner inside noh? After dinner was the ukay challenge! We were grouped into 4 and was given P500 which we used to buy clothes for the styling challenge. It was my jam and I loved it. Haha! I was given the task to shop and come up with outfits. I also ask the team's (Duane, Nicole & Trice) approval as we went along. Team effort! So much clothes, so little budget & time! The ukay lover in me wasn't able to help it, I had to shop for myself too! Kahit we were only given an hour to shop. Was able to buy super nice pieces for dirt cheap prices! I even went back the day after 'coz nabitin ako. Lol. We didn't win the challenge but we were still super happy with the outfits we came up with! 3 sets pa! A lot of people loved it too! Yey!